MEN GALLERY are delighted to present Bullets Straight from the Heart, the first UK solo show of commercial work by Andy Link AK47. His work engages dictums & mandates that readily reveal themselves as direct exchanges employing considered orchestration to solicit interaction, inviting audience participation at different stages. 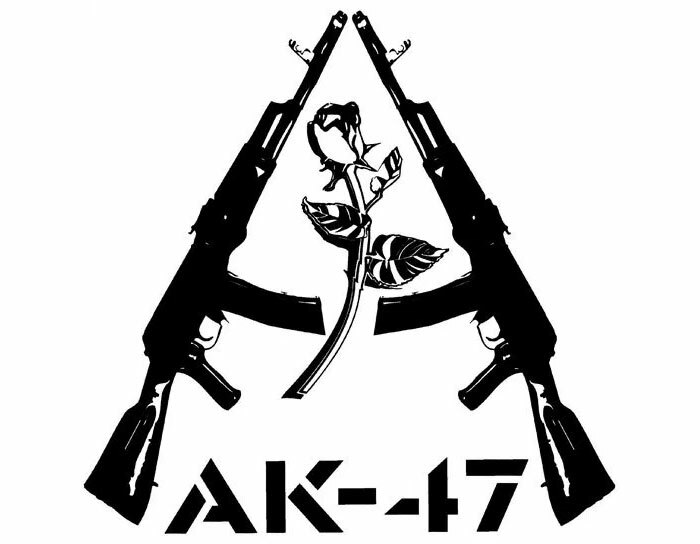 Andy Link AK47 is the founder of the arto-political humourist movement Art Kieda (est. 2001) that employs multiple methods ranging from viral marketing, social networking, graffiti, theft, fashion design, video, photography and installations in an attempt to rework the relations between art, its associated trends and the media’s influence. The artist shot to public recognition in 2004 with the theft of Banksy’s ‘The Drinker<’. Lifted from a central London location this fully documented event was shared with the press complete with ransom note with the negotiations for its return unfolding on the pages of The Guardian. This work is the subject of a documentary film currently in pre-production. Works from the show are available in small limited editions (earlier works from this series shown in a group show sold last year at Christies).